Netflix, a pool, air conditioning, great views or anything that will attract room seekers. Hello everyone We are looking for 1 female who likes to share our room for 3 ppl it is only $155 including all bills (gas, electricity, water and internet) we have swimming pool, gym is all new and bbq area. our location is in Southbank just opposite to crown casino. It is very convenience that you can get your groceries from IGA, Woolworth and Coles also we have 24 hr security. Tram N.96 and 109 are in front of our apartment. Prefer again female Please note that No smoking No guess If you guys interested to live with us please contact me. Looking to partner up and get an apartment in the Prima Pearl building with a professional who is motivated and easy going. (you to also be on lease) Male or female. No couples, students, travellers, LGBT or party house. The place is pretty awesome and has amazing views. Comes with gym, pool, spa, sauna, steam room. Barbecue area. Sun lounge. Xgolf. Pool table. Meeting rooms. The apartments above level 46 have access to another pool/spa/sauna on the top level along with a skylounge that has 360 views over the city, bay and surrounding areas. There a few places available in the building starting at $350p/w up to $450p/w for higher level and better facilities. It's right behind Crown Casino. Available for a Female. 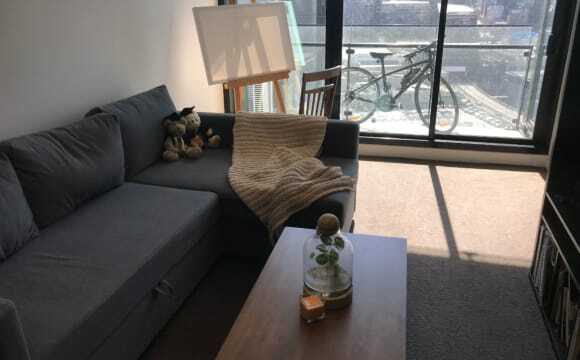 Hey everyone, This excellent located and confortable flat has different public transport options: tram #1 2 minutes walk, tram #3, 3a, 6, 16f, 64, 67 and 72 5 minutes walk and Flinders Train Station 10 minutes walk. The Royal botanical Gardens, Hammer Hall, Yarra River, The National Gallery and vibrant Melbourne CBD... JUST WALKING distance!! 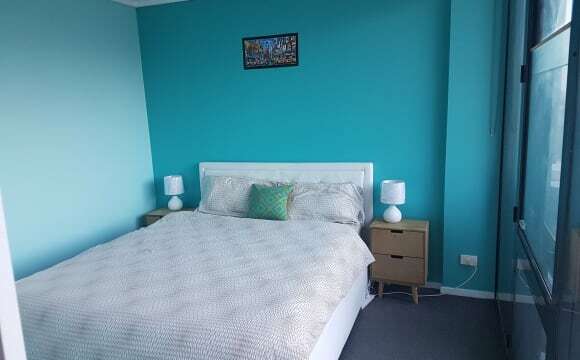 ***Available*** 1 BED in a twin bedroom - to share with another friendly girl- , also each bed is super confortable, night tables, lamps and generous size closets, bed sheets and new pillows. 1 bathroom (separate shower and toilet), open kitchen, living/dining areas, laundry space (washing/dryer) and balcony. Free access for tenants to swimming pool, gym and tennis court. The flat is fully furnished and freshly painted. 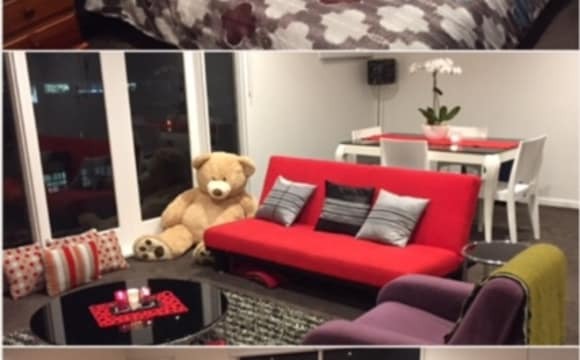 Included in rent: - All utilities: Gas, electricity, water and unlimited NBN internet - Weekly cleaning service in the common areas - Netflix Account Contact me for further information and inspection times, preferable over the phone. If you are overseas contact me on WhatsApp or send a message, the accommodation can be booked prior arrival time. Hi! 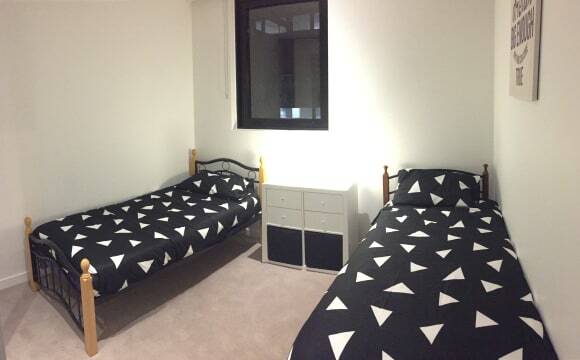 Looking for friendly FEMALE flatmate to share our two bedroom apartment. Fully furnished room WITH OWN BATHROOM. All BILLS included. Just pack your bags and move in :) Available from April 15th '2019 Rent: $380 per week Note: 4 weeks bond is required. 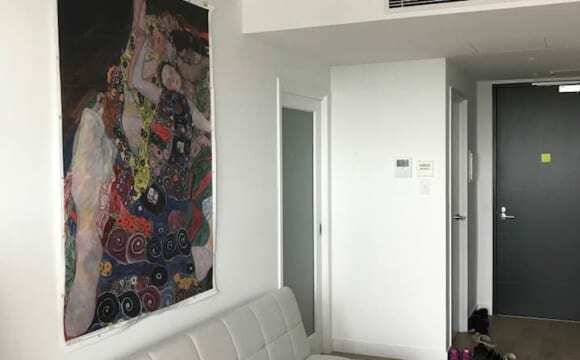 Fully furnished two bedrooms with two bathrooms with balcony and fantastic city and bay view, apartment. Also comprises private balcony, big open-plan living area with split system air conditioner, modern kitchen, built-in robes in bedrooms, and laundry facility. Complex includes indoor lap pool, gym, spa and sauna, central courtyard with BBQ and Tennis Court facilities. Close to all amenities, transport and the best Melbourne has to offer. 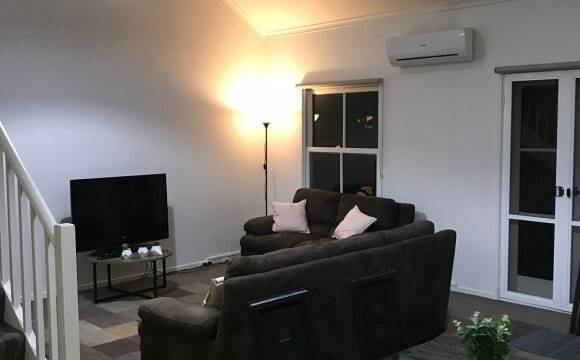 Fastest internet and Wi-Fi with unlimited usage NBN included 10 minutes walk to the Flinders Station, Sourthercross Station, Arts centre,Melbourne University , Botanical gardens and CBD. A beautiful three bedroom apartment (1 bedroom available for rent) in a secured building with a lovely garden, pool, gym and tennis court. Features include new chain pull Holland blinds, brand new quality carpet to living areas and bedrooms, great sized living room, a balcony overlooking a lovely garden and city views. Apartment is fully furnished and some furniture available for the bedroom, all bedrooms with built in robes, a central bathroom with a European laundry. 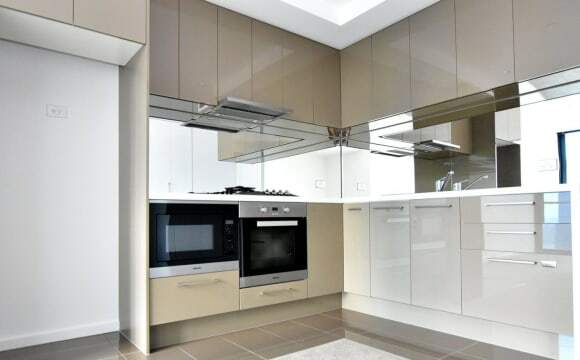 With a fridge, washing machine, dryer and allocated secured car space, this apartment will surely impress with its superb central location (tram number 1 at door step, 2 stops to Flinders Street Station/6 min walking to Finders Street Station). BEDROOM DETAILS Extra large bedroom size Room is furnished. Currently includes a Queen Bed and mattress, TV Unit, Side Table, Storage Shelf, Hangers and Heater and fan. Brand new carpet (fully carpeted) TV nook included Holland blinds SUMMARY OF PROPERTY/APARTMENT FEATURES Gym Pool Garden City views Secured building Fully furnished apartment with equipped kitchen. 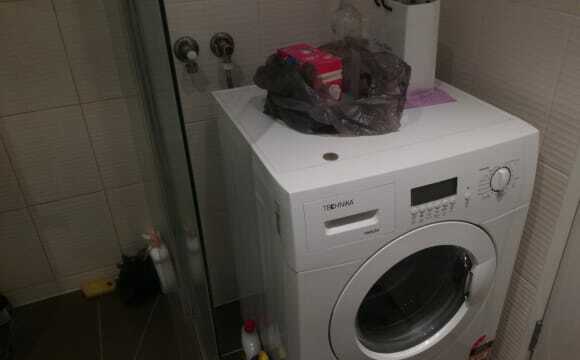 Fully furnished and laundry included in apartment (Washer and Dryer) Tram at door step (tram number 1 at door step, 2 stops to Flinders Street Station/6 min walking to Finders Street Station) PROPERTY DETAILS Property address: 120 Sturt Street, Southbank VIC 3006 Rent: $1350 per month (due monthly at the last day of every month) Bond: $1350.00 Bills: Bills are included in the rent (internet, water, electricity and monthly cleaner) Parking: One parking spot available for the apartment. Can be leased out at additional cost. Available: After July 2019. INSPECTION DETAILS Inspections welcome anytime on weekends and after 6.00 pm weekdays. Please call to book an appointment. The apartment is located at sought after 1 Balston Street on 44th floor. Great city views including MCG &amp; botanical gardens. Secure building with 24 x 7 concierge. Own bathroom. NBN internet is included, as is all utilities. Building amenities include swimming pool, BBQ's &amp; Gym. 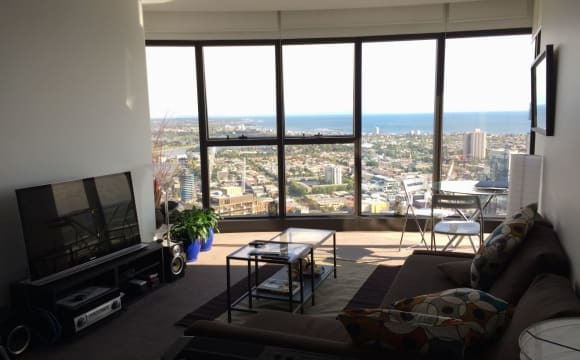 Walking distance to city &amp; Flinders street station, or catch the tram across the road. Tere's a Skybus stop just out the front too. Hey Guys Please notice that this Property AVAILABLE from JULY SECOND TO AUGUST SECOND. It is located in Southbank, near trains, trams buses, restaurants, groceries and shopping centers. You will have your own furnished bedroom with a great view of CBD. Kitchen and living area needs to be shared and they are furnished too. You will have access to the gym, swimming pool, TV and dining room. 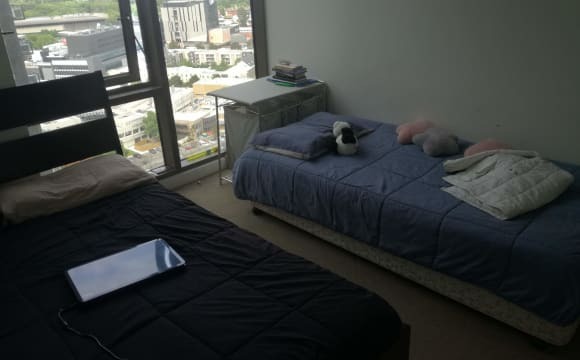 (Please note: Inspections on 2nd May) BEAUTIFUL ENSUITE ROOM IN PLATINUM TOWER... I have a room available in my 2 bed + 2 ensuite apartment that ticks every box. The room has its own ensuite, mirrored BIR and ample space for a queen bed. The previous tenant's bed is shown for sizing reference, but the room will be unfurnished when you move in. Apologies, I'm unable to accept pets or couples. The rest of the apartment features split A/C, unlimited NBN, double glazed windows, washing machine, dryer, microwave, fridge, dishwasher, balcony and panoramic views. The living area has a lengthy 6-seater sofa for chilling with Netflix or guests who need to crash, and I'm getting brand items for the kitchen (cookware, toaster, kettle, crockery, glasses, etc). If you have anything to bring, let me know so I don't double up. 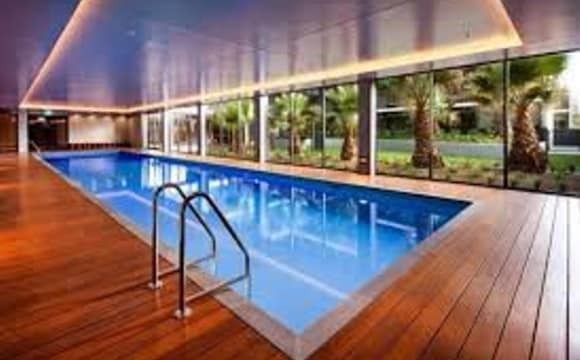 The building itself is 52 floors with Melbourne's highest pool on the rooftop, as well as a gym, jacuzzi and sauna. There are also several function rooms (free for residents) fully equipped with kitchens, lounges, marble tables, etc, and stunning views of Melbourne. Best of all, Woolworths is on the ground floor adjoined to reception which is amazingly convenient. It's hard to fault this place and Platinum is hard to beat in terms of quality, amenities, modernness and location. 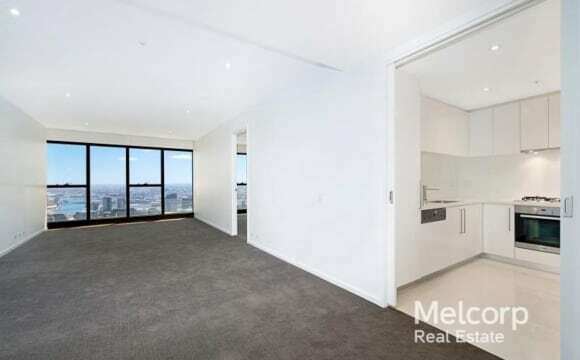 Also: *24 hour concierge *Few mins walk to trams 12, 58, 109, 96 *Adjacent Crown Casino *5 mins walk to BP service station, McDonald's, IGA *10 mins walk to Coles, Aldi, South Melbourne eateries *15 mins walk to CBD, South Melbourne Markets, DFO Outlet Rent is $320pw including unlimited NBN, bond is one month's rent and the usual bills are halved. Send me a message with a bit about yourself and I'll try to respond promptly. The property manager needs to approve you (it's agency policy) as he needs to know who physically lives in the building. I hope I've covered everything, but please feel free to ask should you have any queries and thanks for reading. Everything is provided plus bills are inclusive. We have two vacancy for a room for two -twin share. 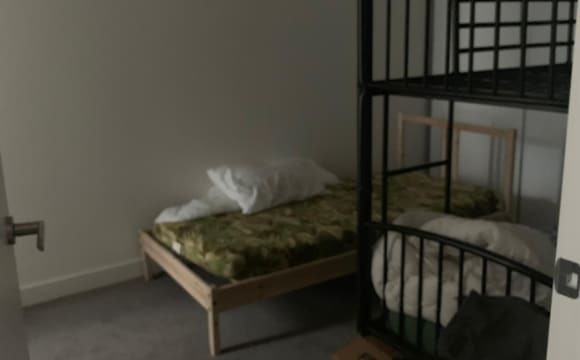 I have also a private room for 500aud pw- all inclusive. The unit is fully furnished with unlimited WIFI and is currently vacant. All amenities i.e., gym, pool, sauna, lounge and library are included in the rent price. YOUNG FEMALES ONLY. Close to free tram zone and public transport. it is available on the 23rd of March.